Hey friends! 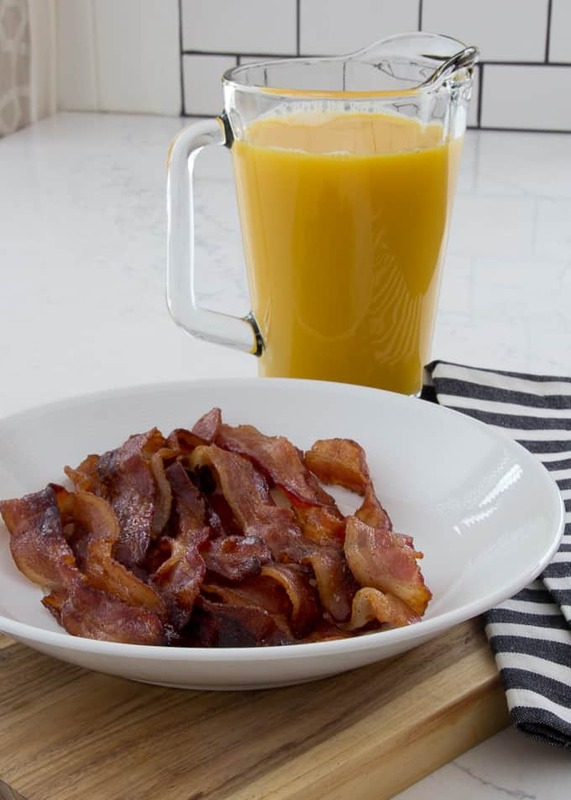 Today I’m here to share the BEST bacon recipe ever. It’s the millionaires bacon recipe and I’m pretty sure it got it’s name because it tastes like it was cooked for a king. We first tried this bacon at a local cafe and fell in love with it. I was determined to figure out how to make it and it actually was really simple! 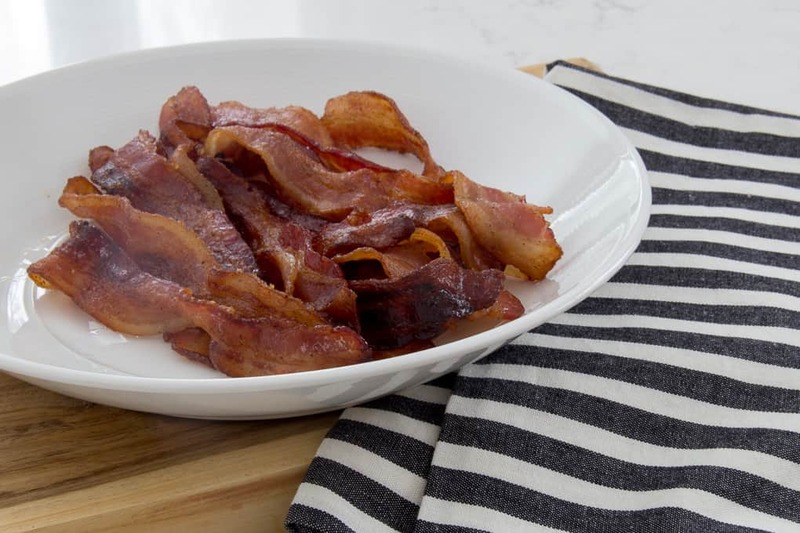 Along with sharing this recipe, I’m also sharing my foolproof method for baking bacon… whether it’s regular everyday bacon or special millionaires bacon. All I do is line a cookie sheet with tinfoil, then I make two loose tinfoil cylinders. Then I drape the bacon over the cylinders. This keeps it from sitting in the grease while it cooks. 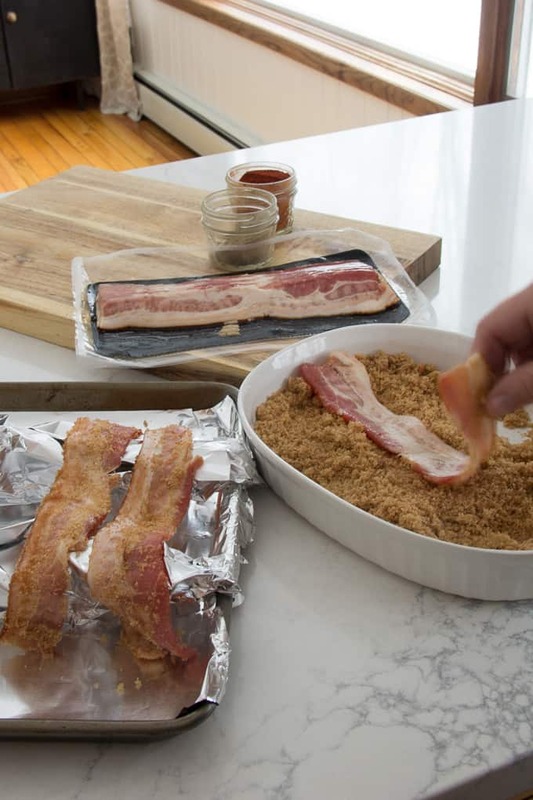 Halfway through baking at 350 degrees I use tongs to flip the bacon. Ok, so back to this amazing recipe. I started by pouring about 1.5 cups of brown sugar in a dish mixed with 2 teaspoons black pepper and 1 teaspoon cayenne powder. Then I just coated both sides of the bacon with this mixture before laying it on the pan. 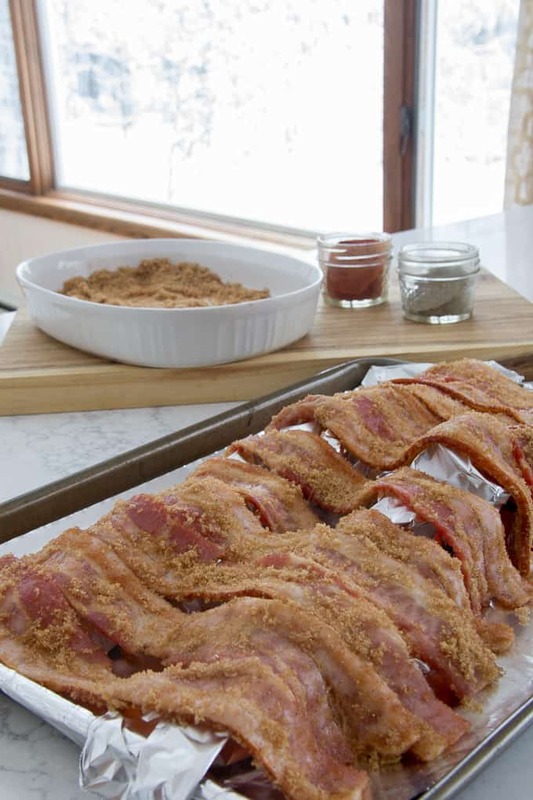 I should note that one of the keys to delicious bacon is using hormel Maple Bacon… just trust me on this one. I’ve only found it at Wal-Mart, but it’s worth the trip! 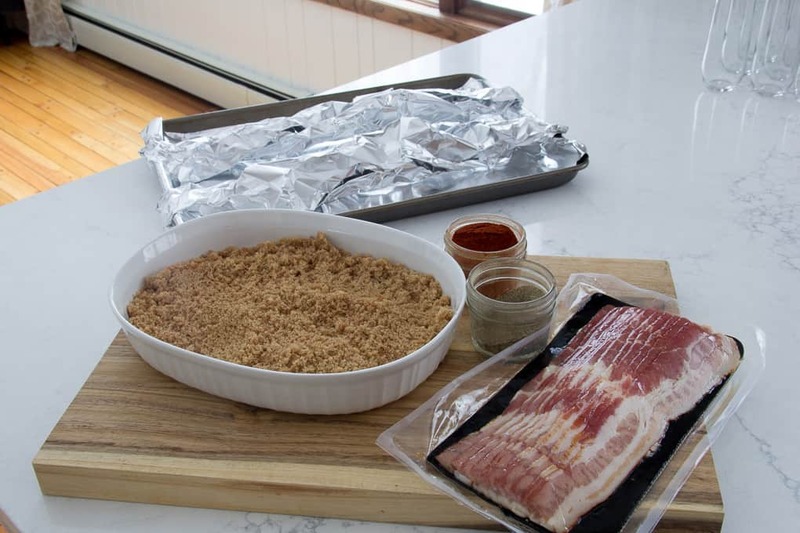 Mix brown sugar, cayenne, and pepper in a low dish. 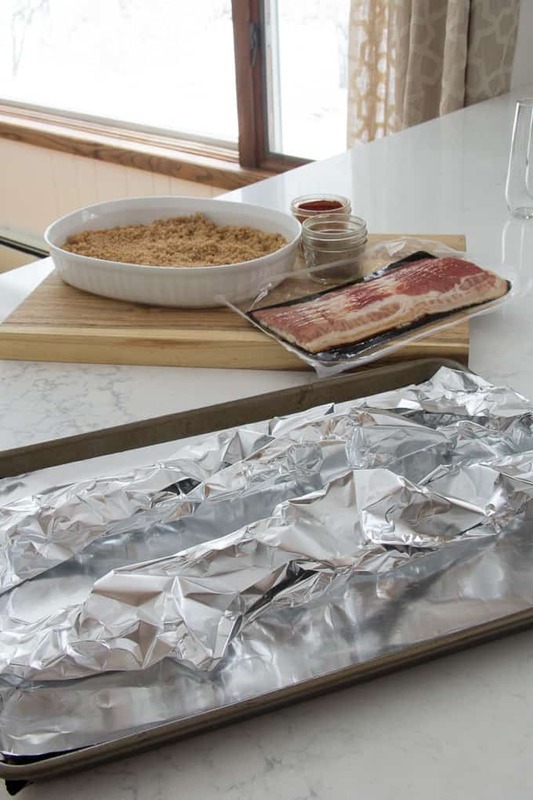 Lay bacon on cookie sheet covered in tinfoil with two tinfoil cylinders to keep bacon from sitting in the grease. Bake at 350 for about 25 minutes, flipping halfway through baking. 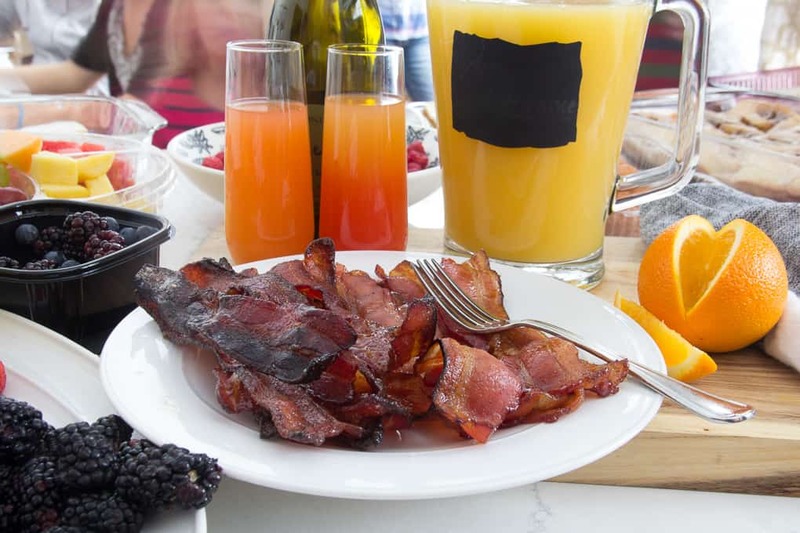 I served this bacon at a recent girl’s brunch that I hosted along with the delicious blushing mimosas that I shared a while ago. Everyone was racing over this bacon. Even a friend who said she normally doesn’t even like bacon! It’s the perfect combination of sweet and spicy and savory. Not only did the girls at the brunch love it, but now my family doesn’t think bacon should ever be made any other way! I hope that you enjoy this recipe as much as we do! Thanks for stopping by today!